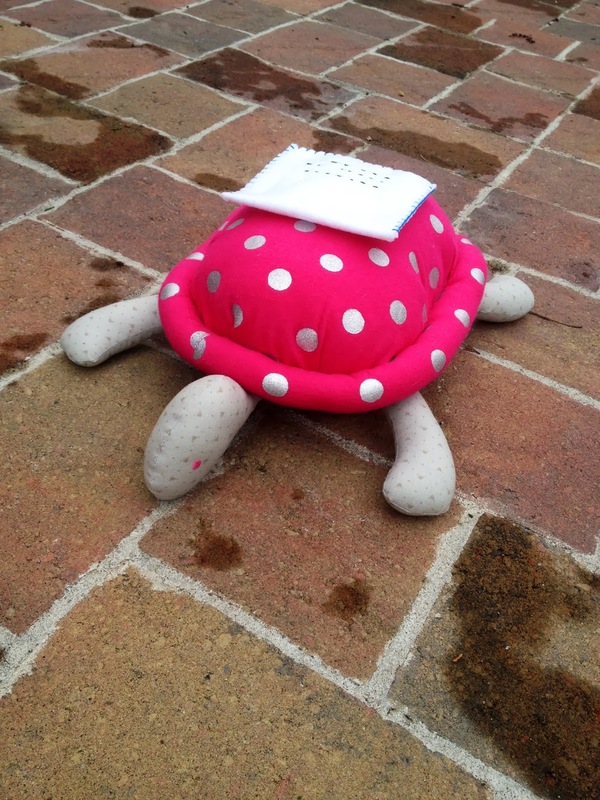 Fennel and Flannel have seen many wonderful things on their Snail Mail route. Birds chirping, flowers blooming, small children learning to ride their tricycles...They've watched as their beloved customers brought home new babies and new cars, had tea parties in the warm summer sun and play with their dogs on the front lawn. There was a reason to smile every day. 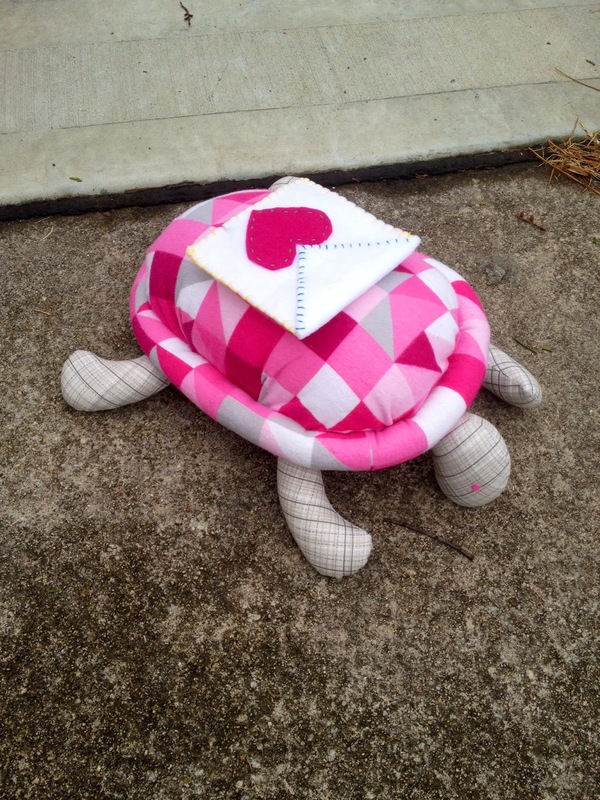 Their customers loved them, so bright and cheerful were their shells, they could be seen crawling through the neighborhood, a pile of envelopes balanced carefully on their backs. "Hello, Fennel! Hello, Flannel! ", the neighborhood called. The sisters would smile, nod their heads and continue their work. One day, the neighborhood was empty. Everyone had returned back to work and school after a snowstorm that left everyone stranded in their houses until it was safe to venture out once more. It was time to restock the pantry, return library books, check in with friends and visit the doctor. Fennel and Flannel rounded the corner of the last street on their route and heard a sound they had never heard before. It was a clicking-tapping-scratching sound, immediately followed by the sound of what they thought was someone crying. The sisters were alarmed. So happy was this neighborhood that they were quite distressed to hear those sounds. What could it be? 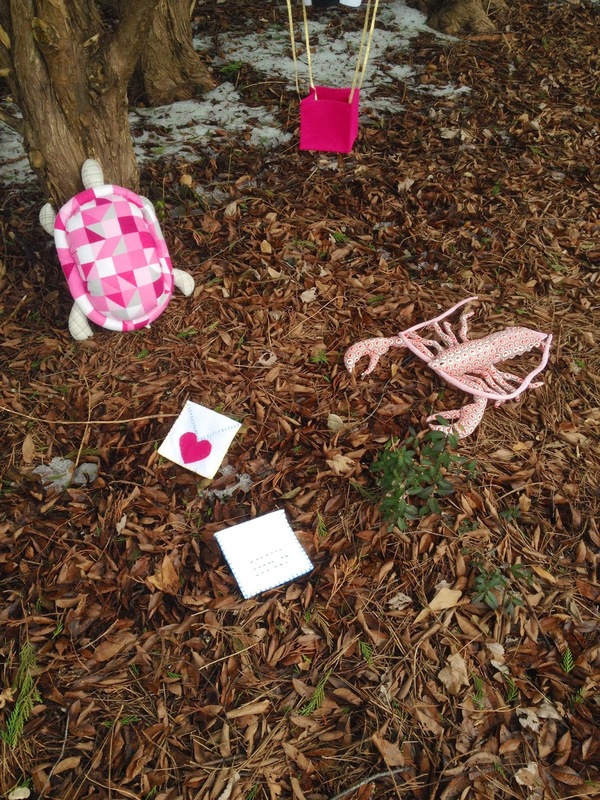 As fast as they could, which isn't very fast at all because-as you know-they are turtles, they climbed the sidewalk until they came to a pink lobster. The lobster was the source of the scrabbling noises and the sobbing. "What's happened? What's wrong?" asked Fennel. 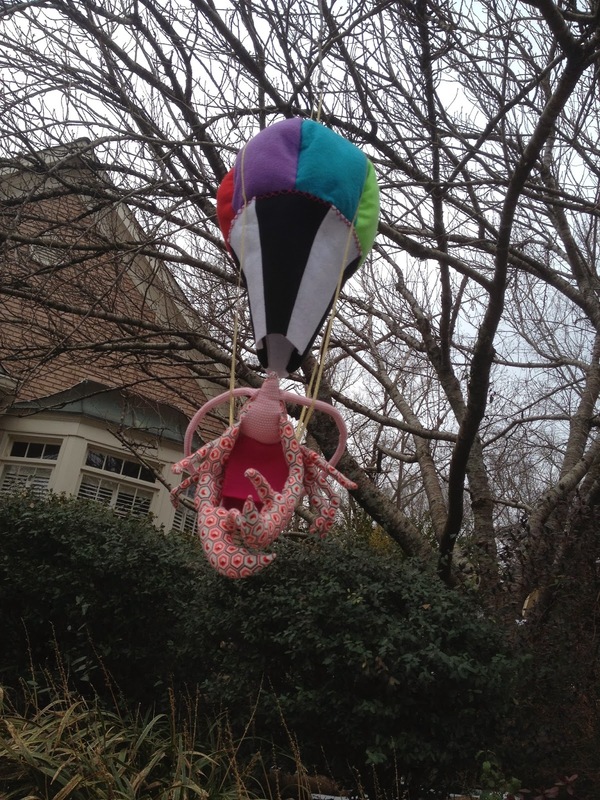 The lobster wiped her eyes and squeaked, "It's my hot air ballon! Its been caught in a tree and I don't know how to get it down, I can't climb trees!" 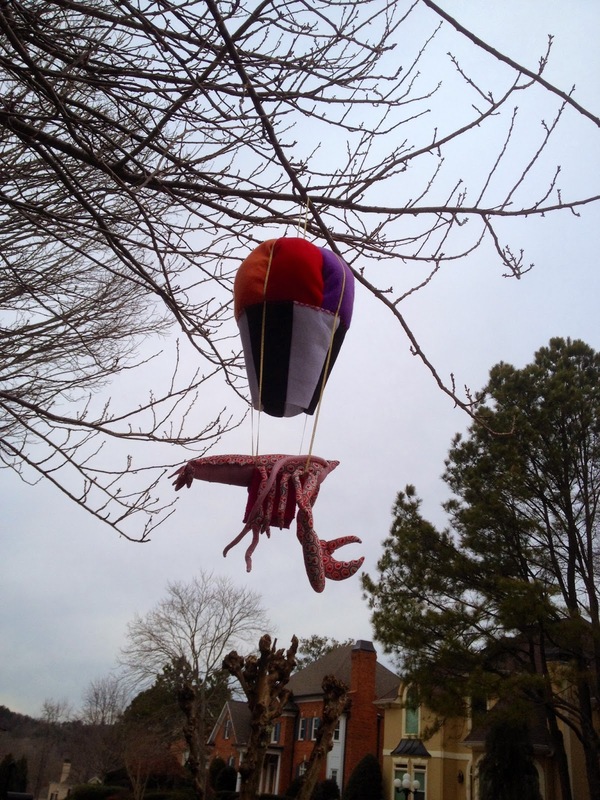 With that, she began to sob harder, throwing her claws up in despair at her beautiful balloon stuck on a branch. The sisters had never seen such a thing before. The balloon was like a rainbow, one color for every section. It's band was in black and white, with the most beautiful pink basket and shimmering golden ropes. It was obvious to the sisters why the lobster was in such a sad state. Fennel looked at Flannel. Flannel looked at the lobster and said softly "I think we can help you, what is your name?" The lobster uncovered her face and said in a watery voice, "Louisa. My name is Louisa and I am traveling from Maine to Mexico in my hot air balloon. I am on my way to visit my cousin Jorge in Mexico," she sniffed and clicked her claws together nervously, glancing up at the balloon. The sisters smiled kindly and introduced themselves. "Here is what we are going to do," said Fennel looking at Louisa. "I will stand here, at the base of this tree and Flannel will climb up my back, across that big limb and unhook your balloon from the branches. You stand below to make sure the balloon doesn't get caught on anything else." Louisa nodded and clambered over to a position just below the basket of the balloon. Fennel and Flannel laid their last two letters on the ground and walked toward the tree. Fennel reached up and leaned her front legs against the tree trunk. Carefully, Flannel climbed her sisters back and up the tree. Very slowly she made her way out along the branch until she could reach the golden rope that was caught. After a few failed attempts, she managed to unhook the rope and release the balloon. It floated gently toward the ground where Louisa waited. Louisa cried tears of joy and hugged the sisters tight. "Thank you, thank you! You have saved my balloon! I must pay you!" But the sisters only smiled and shook their heads. "We are happy to help. We wish you safe travels and hope that you enjoy your time with your cousin. There is no need to pay us." Gratefully, Louisa climbed into the pink basket of her balloon. She looked down at the sisters and smiled. "You have been so kind, I will never forget you." She blew kisses and waved her claws as she began her ascent to the sky. "Goodbye, Louisa! Be careful! Goodbye!" Fennel and Flannel waved until they could no longer see Louisa. 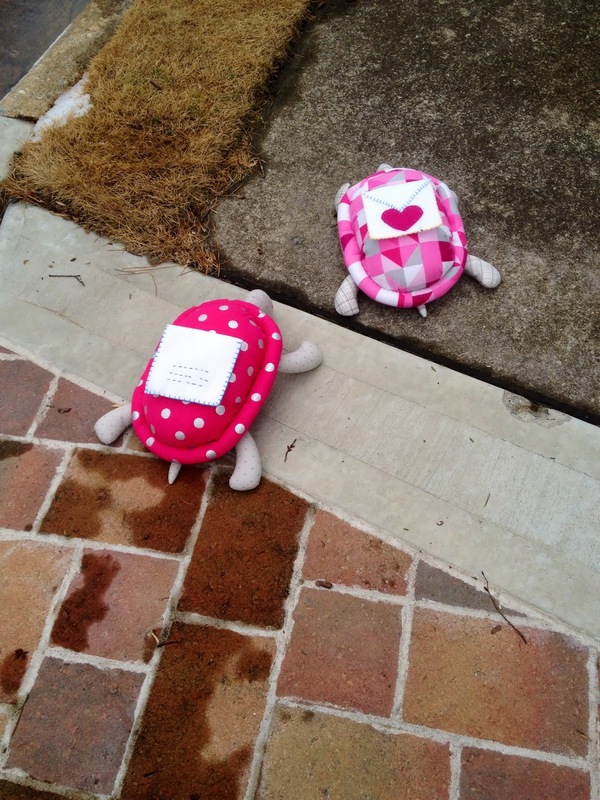 They turned back to their letters, lying on the ground and waiting to be delivered. They scooped them up and headed towards the last mailbox of the day. 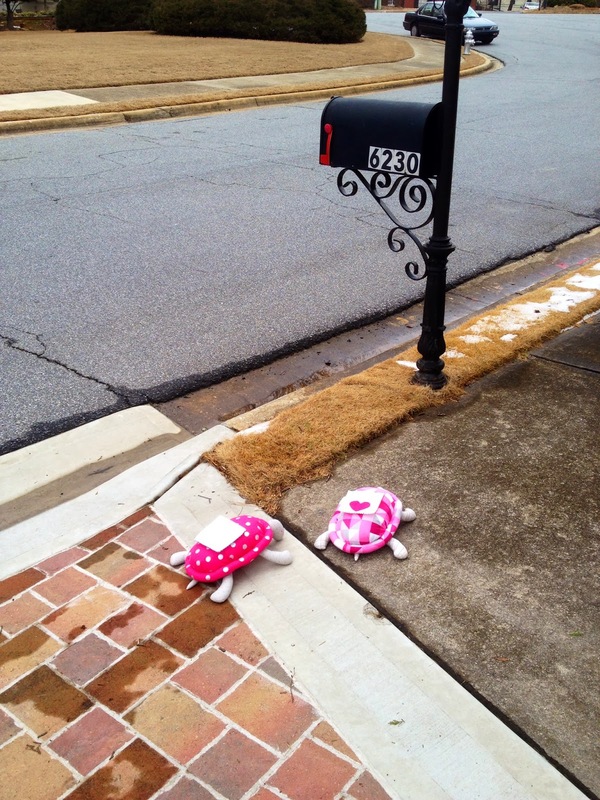 They were happy to be Snail Mail Carriers, delivering Valentines and helping new friends. 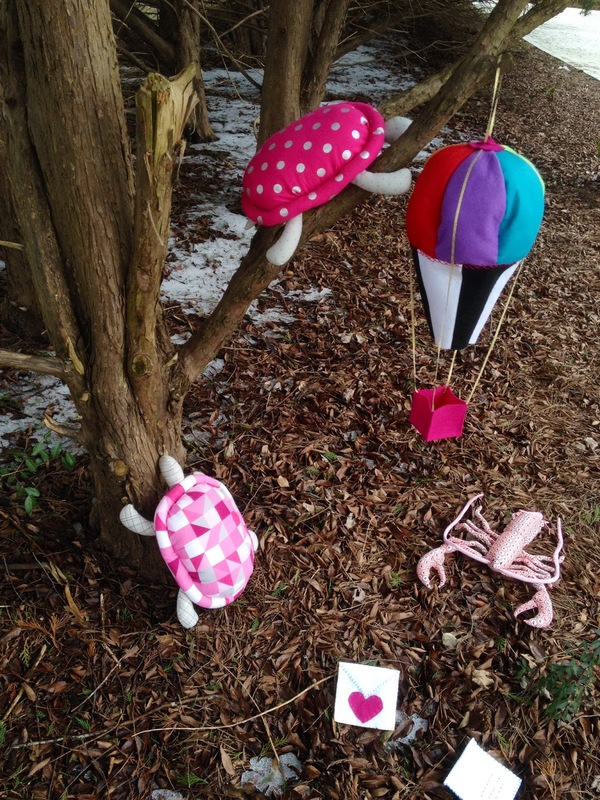 This is an awesome story and your turtles and lobster are wonderful. Good luck in the competition.